As a hacker and polyglot programmer of weird machines, I study how things can go wrong. As member of the ISECOM Core Team, I'm involved in the development of the Open Source Security Testing Methodology Manual (OSSTMM), the international standard for performing security testing. I'm also contributing to the Hacker Highscool (HHS), another ISECOM project promoting security awareness for teens. As a technical writer, I've published articles on many computing magazines and I've co-authored some books, such as the popular Hacking Exposed Linux. Back in the 90s, I co-founded Linux&C (the first Italian magazine about Linux and open source), Linux Pratico, and H&C. This is my personal homepage and playground. Take a look below for (new) stuff. Please send your feedback to: Marco Ivaldi <raptor[at]0xdeadbeef.info> (PGP key updated on 2014-07-01). OSSTMM. I'm a primary contributor of ISECOM's Open Source Security Testing Methodology Manual. HHS. I contribute to the Hacker Highscool, another ISECOM project promoting security awareness for teens. Raptor's GitHub. This is my GitHub page, where some of my more recent projects are hosted. Tech Blog @Media. This is the on-line repository of research projects sponsored by my employer. Antifork Research. I'm one of the founders of the project (formerly known as disLESSici team). L'anonimato su Internet. About anonymity and privacy on the Internet, appeared on Apogeonline in January 2000. Qualcuno ci ascolta. About the ECHELON network (written in January 2000, not published elsewhere). Intrusioni di rete. Slides compiled for an Information Security Master in Milan University (December 2001). Introduzione al Quantum Computing. Introduction to QC, also released as an Apogeonline ebook in July 2002. Sicurezza su reti X.25. White paper written for ITBH and released to the public in September 2002. L'arte dell'hacking. I did the technical review of the translation of Hacking: the art of exploitation, by J. Erickson. Vulnerabilita' su Linux. I wrote the foreword for this practical exploitation guide by Enrico Feresin. Hacking Exposed Linux. I wrote the VoIP chapter for the third edition of the HEL book, released by ISECOM. La metrica di sicurezza di OSSTMM. About the attack surface security metrics defined by OSSTMM (rav). Cyberworld. I co-authored this book sponsored by the Italian DoD's National Security Observatory. La Comunicazione. I wrote the article "ICT Security Certification with OSSTMM", published by ISCOM. I cinque miti della sicurezza SCADA. Article discussing SCADA security myths and popular beliefs. Protezione degli utenti VIP. Article about tailoring information security services for Top Managers. Penetration Testing Guidelines. I co-authored these security testing guidelines by ISACA's Venice Chapter. CLUSIT Report 2016. I co-authored the e-commerce section of this year's annual CLUSIT ICT security report. Security Testing with CPDLC. I co-authored this paper on Controller-Pilot Data Link Communications security. Tracing Android and iOS apps. Blog post explaining how to use my raptor_frida_*_trace.js scripts. In praise of tactical exploitation. Blog post introducing my new tactical exploitation toolkit. How a UNIX hacker discovered PowerShell. Blog post covering my unexpected PowerShell journey. Infiltrate 2019 (new). My talk "A bug's life: story of a Solaris 0day" has been accepted for Infiltrate 2019. Stealing Minutes. Newsweek International reporter Benjamin Sutherland interviewed me for this article on VoIP. Materatown. I have been interviewed by the fine folks at Materatown.net on the topic of satire and anonymity. How Secure is Secure Enough?. Control's Editor-in-Chief Walt Boyes interviewed me for this article on SCADA. IBM: Yes, it's true. The Register published an article on IBM's attempt to censor exploit information. Beginners.re. I've been quoted on the cover of the Farsi translation of Beginners.re by Mohsen Mostafa Jokar. DailyDave (new). Dave Aitel has posted a terrific announcement for my Infiltrate 2019 talk. Thanks! CVE-2003-0190. I discovered and published this OpenSSH/PAM Delay Information Disclosure Vulnerability. CVE-2006-1242. I discovered and published this Linux Kernel IP ID Information Disclosure Weakness. CVE-2006-5229. I discovered and published yet another OpenSSH information disclosure via timing leak. Buffer Overflow in passwd(1). This white paper has been written by Shaun McAdams for his GIAC GCIH practical. Exploiting UDFs in MySQL. This white paper has been written by Matthew Zimmerman for his GIAC GCIH practical. Whoppix-raptor. A flash demo showing raptor_chown.c in action done for whoppix.net by ports@portsonline.net. Quelques astuces avec LD_PRELOAD. French hackin9 article by Stefan Klaas that analyzes a couple of my exploits. SSH Enumusers. A Metasploit module that implements the time-based attack against SSH I discovered back in 2003. Libnspr NSPR_LOG_FILE. A Metasploit module that reimplements my raptor_libnspr3 privilege escalation exploit. Glibc LD_AUDIT. A Metasploit module that reimplements my raptor_ldaudit privilege escalation exploit. Xorg X11 Suid Server. A Metasploit module that reimplements my raptor_xorgasm privilege escalation exploit. Bugtraq. The first public mailing list dedicated to issues about computer security, and how to fix them. Full-Disclosure. An unmoderated high-traffic discussion list for disclosure of security information. Vuln-Dev. Low-traffic vulnerability research and exploit development mailing list, hosted by SecurityFocus. Pen-Test. Another mailing list from SecurityFocus, dedicated to security testing and network auditing. DailyDave. The premier list for discussion of security issues, 0days, and reverse engineering. Cabal. Marketing-free security mailing list dedicated to discussions which are too long to fit in Twitter. SCADASEC. Discussion group about critical infrastructure protection and SCADA/control systems security. raptor_chown.c. Linux 2.6.x < 2.6.7-rc3 (CVE-2004-0497). Missing DAC controls in sys_chown() on Linux. raptor_prctl.c. Linux 2.6.x from 2.6.13 up to versions before 2.6.17.4 (CVE-2006-2451). Suid_dumpable bug. raptor_prctl2.c. Linux 2.6.x from 2.6.13 up to versions before 2.6.17.4 (CVE-2006-2451). Via logrotate(8). raptor_truecrypt.tgz. TrueCrypt <= 4.3 (CVE-2007-1738). Local privilege escalation via setuid volume mount. raptor_ldaudit. Local privilege escalation through glibc dynamic linker (CVE-2010-3856). Via crond(8). raptor_ldaudit2. Local privilege escalation through glibc dynamic linker (CVE-2010-3856). Via logrotate(8). raptor_ucbps. Solaris 8, 9 (CVE-1999-1587). Information leak with /usr/ucb/ps on both SPARC and x86. raptor_rlogin.c. Solaris 2.5.1, 2.6, 7, 8 (CVE-2001-0797). Buffer overflow in System V login via rlogin vector. raptor_ldpreload.c. Solaris 2.6, 7, 8, 9 (CVE-2003-0609). Stack-based buffer overflow in the runtime linker ld.so.1. raptor_libdthelp.c. Solaris 7, 8, 9 (CVE-2003-0834). Buffer overflow in CDE libDtHelp via dtprintinfo help feature. raptor_libdthelp2.c. Solaris 7, 8, 9 (CVE-2003-0834). Buffer overflow in CDE libDtHelp, non-exec stack version. raptor_passwd.c. Solaris 8, 9 (CVE-2004-0360). Stack-based buffer overflow in the circ() function of passwd(1). raptor_sysinfo.c. Solaris 10 (CVE-2006-3824). Kernel memory disclosure with the sysinfo(2) system call. raptor_xkb.c. Solaris 8, 9, 10 (CVE-2006-4655). Buffer overflow in the Strcmp() function of X11 XKEYBOARD. raptor_libnspr. Solaris 10 (CVE-2006-4842). NSPR library arbitrary file creation oldschool local root. raptor_libnspr2. Solaris 10 (CVE-2006-4842). NSPR library arbitrary file creation local root via LD_PRELOAD. raptor_libnspr3. Solaris 10 (CVE-2006-4842). NSPR library arbitrary file creation local root via constructor. raptor_peek.c. Solaris 8, 9, 10 (CVE-2007-5225). Kernel memory disclosure with fifofs I_PEEK ioctl(2). raptor_solgasm (new). Solaris 11 (CVE-2018-14665). Local privilege escalation via Xorg -logfile and inittab. raptor_libC. AIX 5.3, 6.1 (CVE-2009-2669). Arbitrary file creation or overwrite via libC debugging functions. raptor_xorgasm (new). OpenBSD 6.3, 6.4 (CVE-2018-14665). Local privilege escalation via Xorg -logfile and cron. zzz_exploit.py. Weaponized;) fork of worawit/sleepya's MS17-010 exploit. Use at your own risk. raptor_oraextproc.sql. Oracle 9i, 10g (CVE-2004-1364). Directory traversal vulnerability in extproc. raptor_oraexec.sql. Exploitation suite for Oracle written in Java, to read/write files and execute OS commands. raptor_orafile.sql. File system access suite for Oracle based on the utl_file package, to read/write files. raptor_udf.c. Helper dynamic library for local privilege escalation through MySQL run with root privileges. raptor_udf2.c. Slight modification of raptor_udf.c, it works with recent versions of the open source database. 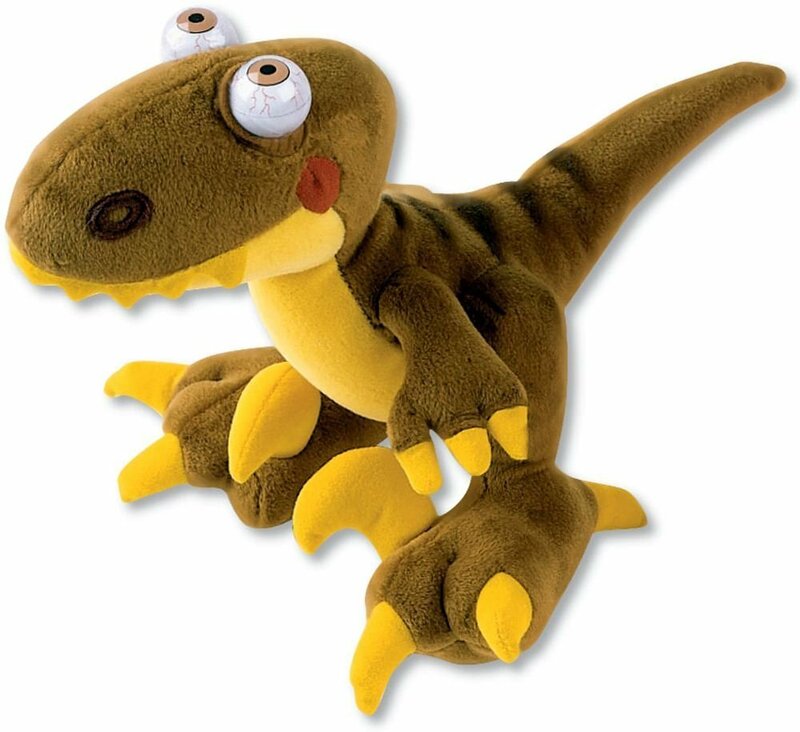 raptor_winudf.zip. MySQL UDF backdoor kit for M$ Windows (ZIP password is "0xdeadbeef"). raptor_sshtime. OpenSSH (CVE-2003-0190, CVE-2006-5229). Remote timing attack information leak exploit. raptor_dominohash. Lotus Domino R5, R6 (CVE-2005-2428). Webmail names.nsf password hash dumper. raptor_xorgy (new). Xorg 1.19.0 - 1.20.2 (CVE-2018-14665). Local privilege escalation via Xorg -modulepath. tactical-exploitation. A modern tactical exploitation toolkit to assist penetration testers. frida-scripts. A collection of my Frida.re instrumentation scripts to facilitate reverse engineering. Invoke-Shellcode.ps1. Updated cmdlet with -Stealth command line switch (see my pull request). samba-hax0r. Multi-purpose attack tool for SMB/CIFS network protocols exploitation. mssql-hax0r. Multi-purpose SQL injection attack tool for advanced Microsoft SQL Server exploitation. havoc-0.1d.tgz. Random ARP traffic generator, BOFH style. It can temporarily hose an ethernet segment. ikenum. Script for remote enumeration of supported ISAKMP authentication methods (RFC 2409). orabackdoor.sql. Proof-of-concept code to demonstrate how to write a simple backdoor for Oracle. scan-tools.tgz. A collection of easily customizable bash scripts for network scanning purposes. sequel.tgz. A collection of simple scripts for performing multiple tasks via SQL injection attacks. p2s.c. Prism2stumbler is a wireless network stumbler for PRISM2 cards. Tested on Linux with wlan-ng. brutus.pl. Remote login/password bruteforce cracker for TELNET, FTP, POP3, SMTP, and HTTP protocols. ward.c. Fast wardialer for UNIX systems, it scans a list of phone numbers hunting for active modems. rasbrute.bat. Very basic and easily customizable DOS batch script for remote bruteforcing of M$ PPTP. bounce.c. Simple netcat-like bouncer client that pipes on localhost an active TCP session. x25-tools.tgz. A collection of multi-purpose X.25 scanners based on vudu, including nuascan and cudscan. psibrute.com. This DCL script abuses the old PSI_MAIL trick on VMS/OpenVMS to remotely find valid users. backdoor.bas. Simple VMS/OpenVMS lib$spawn() setuid-like backdoor (easily portable to other languages). autoscan.pl. Autonet NUA scanner for the old autonet x25pad gateway, based on the brutus.pl engine. abo-exploits.tgz. Advanced buffer overflows study. See gera's vulnerable code exploited in different ways. fs-exploits.tgz. Format strings exploitation study. Commented solutions to gera's fs vulnerable code series. vulndev-exploits.tgz. Exploit code for vuln-dev challenges. Currently, there are 2 accomplished challenges. linux-x86-exploits.tgz. Linux/x86 vulnerable code study. Currently, there are 86 example exploits included. solaris-sparc-exploits.tgz. Solaris/SPARC vulnerable code study. Currently, there are 19 example exploits. shellcode.tgz. An old collection of Linux and BSD shellcode, illustrating different concepts and techniques. libc-search.c. Quick and easily-adaptable libc symbol/pattern search helper. Tested on Linux. xchg rax,rax solutions. My attempt at tackling the x86_64 asm riddles in xorpd's xchg rax,rax book. poly.tgz. An old collection of polyglots, programs that may be compiled in more than one language. rc.iptables. Sample basic ruleset for the configuration of a Linux stateful host/masq firewall. pf.conf. Sample PF/NAT ruleset for the configuration of a FreeBSD/OpenBSD stateful host/masq firewall. modsecurity-2.6.8.conf. Sample configuration file for the ModSecurity application firewall v2.6.8. modsecurity-2.5.12.conf. Sample configuration file for the ModSecurity application firewall v2.5.12. torrc. Sample configuration file for a Tor relay/bridge. Tested on Tor 0.3.0.10 on FreeBSD. openvpn-*.conf. Sample OpenVPN client and server configurations. Tested on Debian GNU/Linux 8.7. Utah Bengaled Raptor. 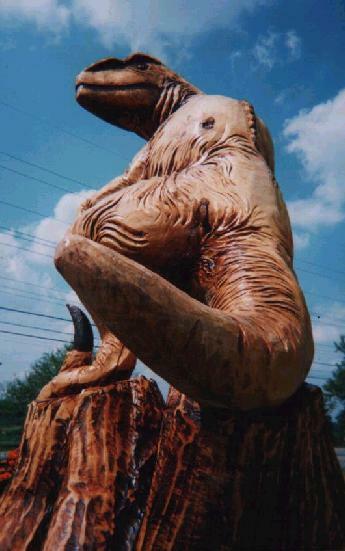 An impressive 8 foot tall, 1 ton wooden prehistoric monster, created by artist Matt Kron. 0xdefaced. This is the archived 0xdeadbeef dot info defacement hoax made for April Fools' Day 2004. Voodoo. 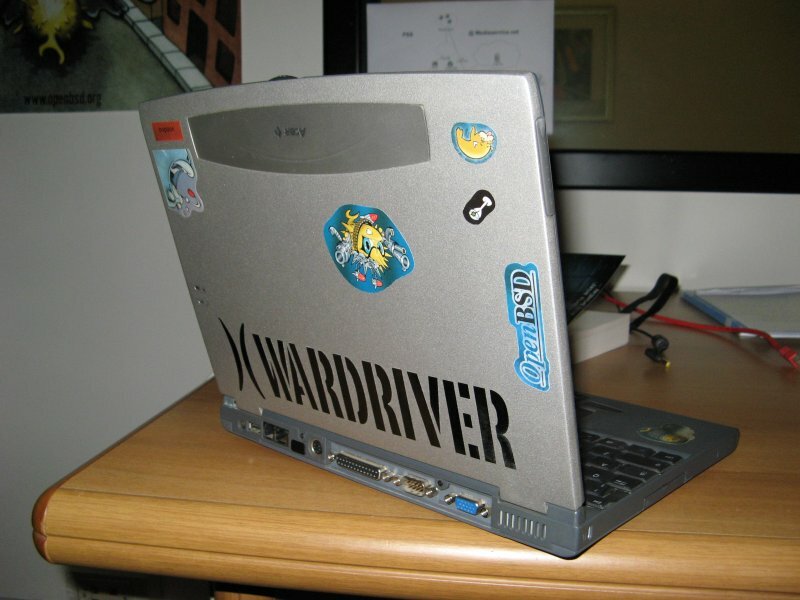 A picture of my old and glorious Acer TravelMate 345T notebook, running OpenBSD. 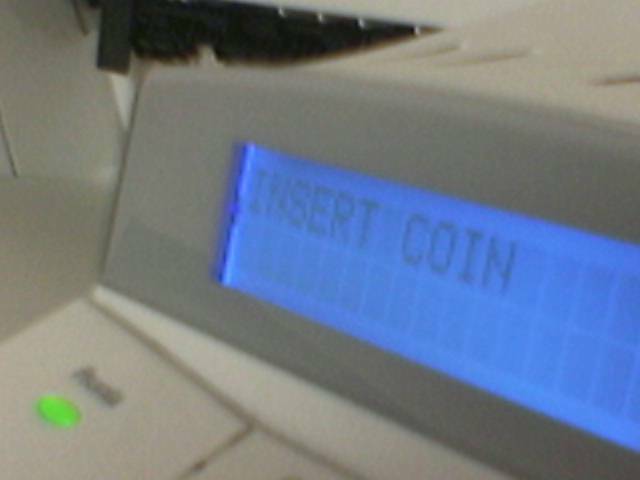 Insert Coin. My kinda original HP JetDirect printer's new display (yeah, I was bored that day). Control Room. 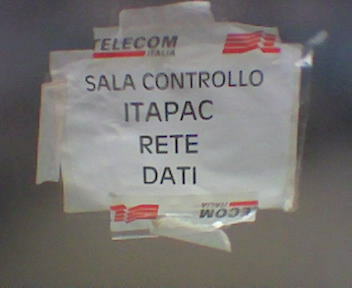 ITAPAC (DNIC 2222) is the most known Italian X.25 network, still alive as of 2006. Sidecar Wardriving. 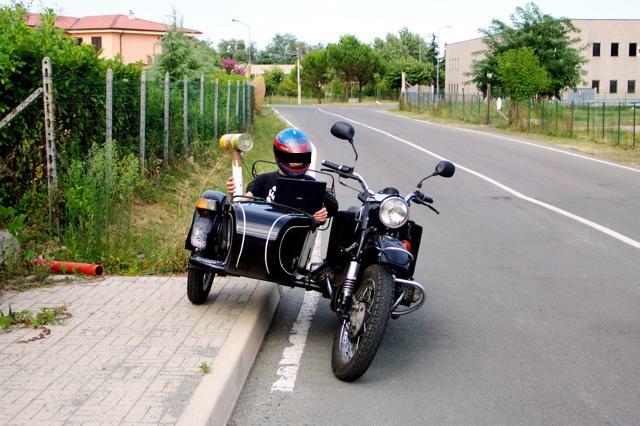 Funny picture of a l33t wardriving session on an original Ural sidecar. This Site is Blocked. A screenshot of UAE's Internet Access Management Policy in action. Vault 7. Some of my shellcodes are among the CIA tools released by Wikileaks. Achievement unlocked! 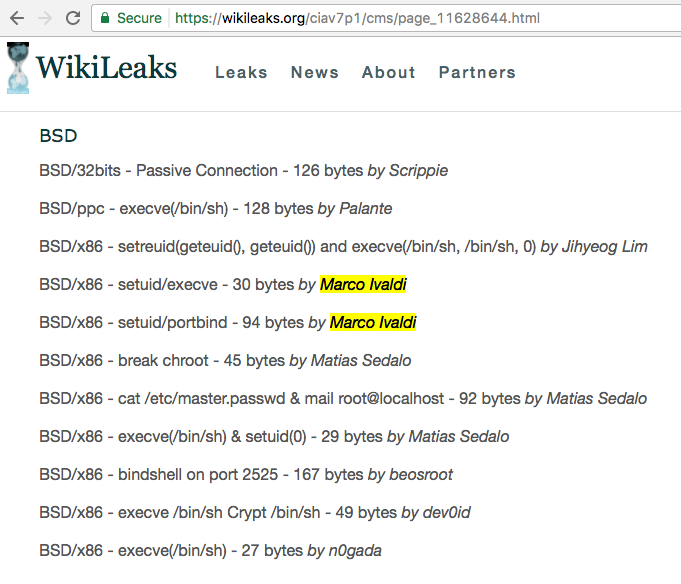 Copyright (c) 1998-2019* Marco Ivaldi at 0xdeadbeef dot info *celebrating 21 years!